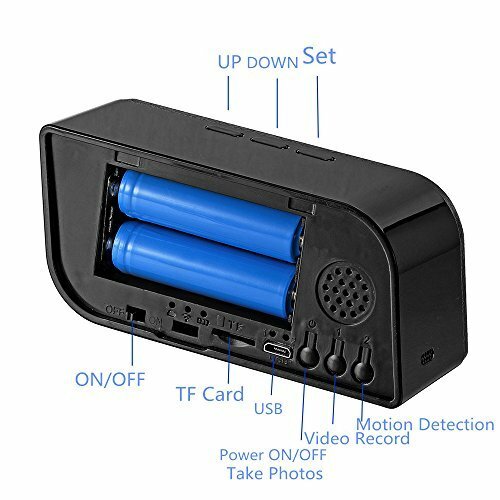 Looking for a perfect Spy Camera without being noticed it is a camera? The 1080P HD Clock with hidden camera is just what you need. It looks just like an ordinary Clock. 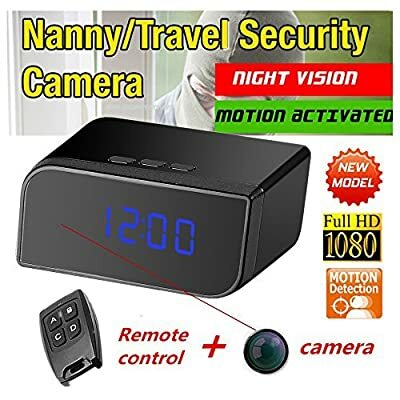 This 1080P HD Camera Clock supports Micro SD card up to 32GB memory, automatically record video, allows you to see exactly what is going on when you aren't around in your home, office, business, or wherever you need covert security. 1.Full 1-Year the MINI BLUETOOTH CAM Manufacturer Warranty. Note:TF Card is not included. Please fully charge the item before using. Format the memory card (up to 32GB) first in FAT32 before using it for the first time. The camera has screen protector, you can remove it. 1080P HD Video Camera, Real-time Audio & Video Recording. It looks like an ordinary clock, Real Alarm clock function, but it built-in a hidden camera. Automatically record video and save files every 10 minutes. 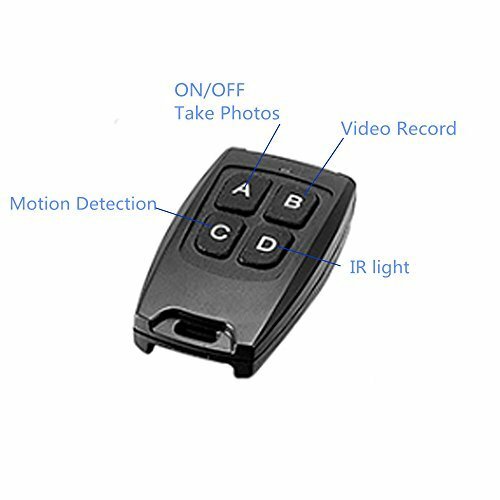 Support Motion Detection, Support IR Night Vision; Support Remote Control. Support Micro SD card up to 32GB(Not included).